I know it’s a bit of a cliche but I do plan on getting a bit more organised this year (and yes, I’ve probably made this vague resolution more than a few times in the past!) but I made a start last year in other areas of our home, but had never really done much in the kitchen. 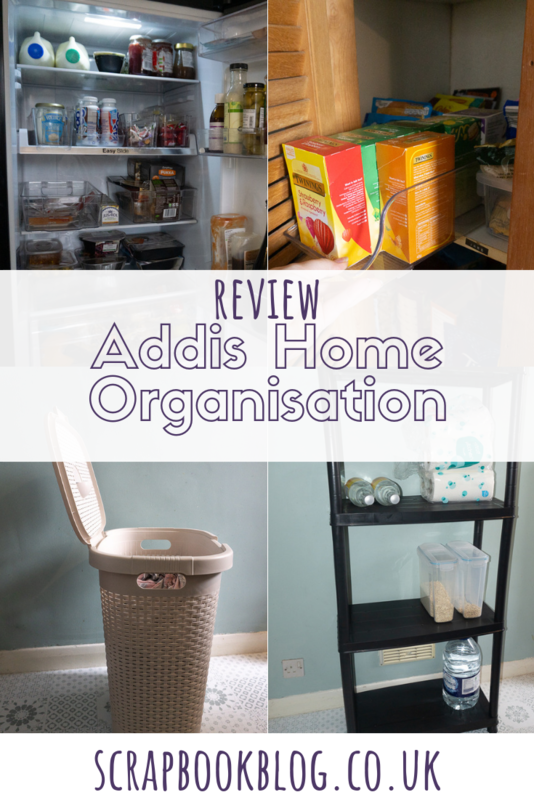 Addis recently sent me a few very handy home organisation products to help me get sorted and I’ve now been using them for a few weeks so can let you know exactly how useful they are! 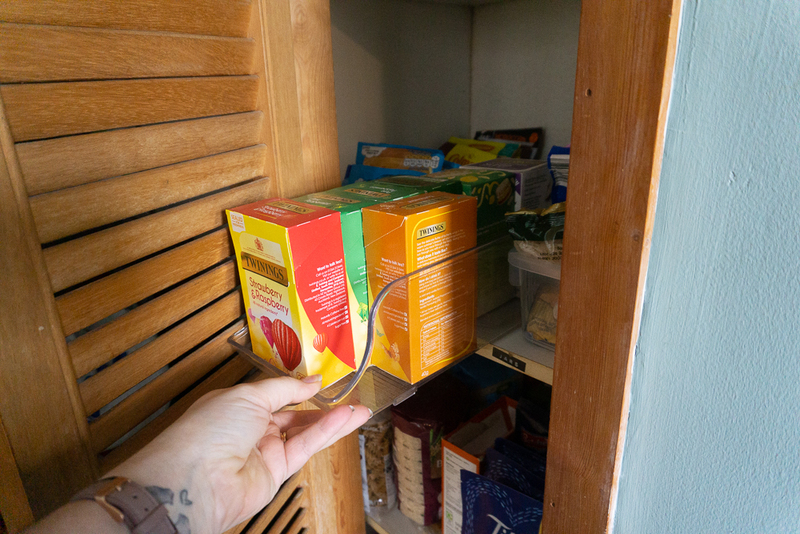 We have a tall but narrow food storage cupboard which is pretty awkward as some of the shelves are quite high, meaning I need to stand on a chair to see what’s on the top couple of shelves but I now have a solution – pulling out a storage box and grabbing what I need, then sliding it back onto the shelf! So much easier! I use a combination of the can holders which are perfect for keeping packets in, like microwaveable rice (yes I’m lazy) and similar sized packets. I also use the small trays for keeping bottles and jars organised by type. 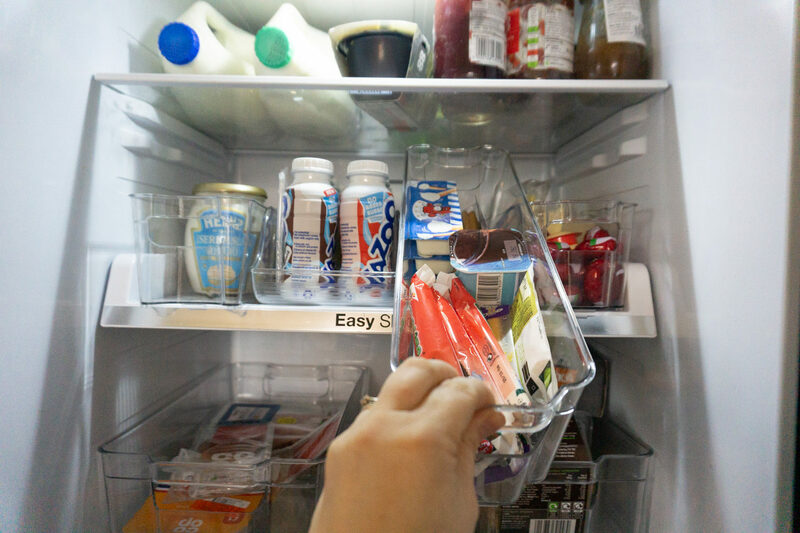 In the fridge we have the medium and small trays and they help to keep everything separated. So I have one for cheese and yoghurts, one for sliced meats and cooked meats, ones for ready meals (told you I’m lazy and prepared dinners) and so on. 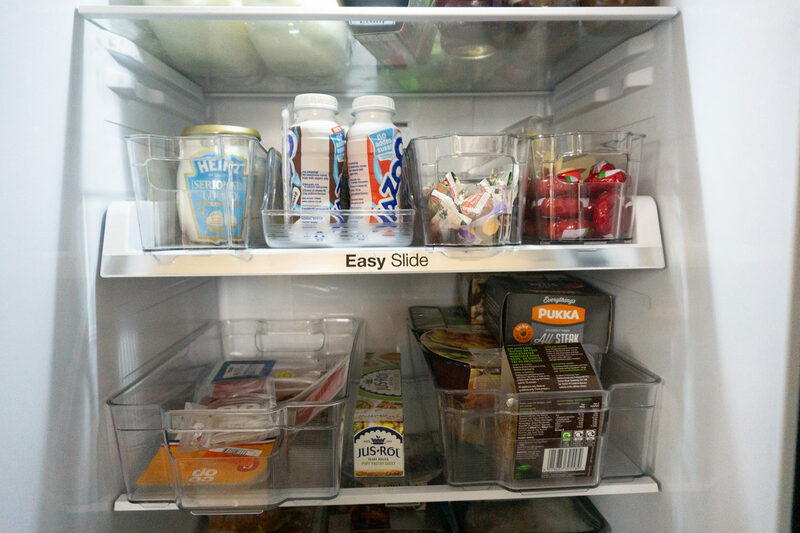 It really does make things a lot easier as I can decant everything out of their external packaging when the shopping gets put away and recycle everyone at once, then I can see at a glance what needs topping up on the next shop, for example. Addis also do bottle holders but we don’t have a need for these as we don’t drink all that much! 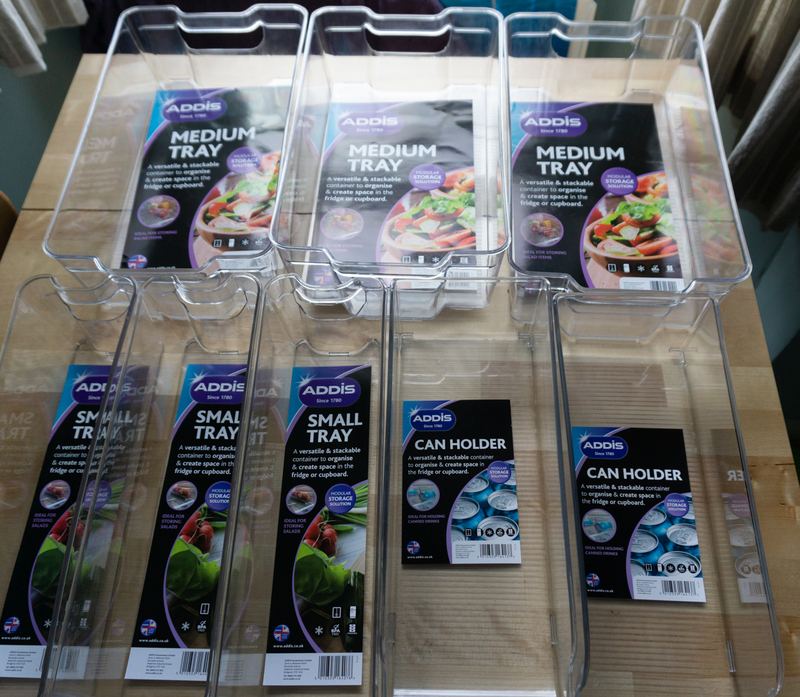 The small and medium sized trays have handles for ease of grabbing and carrying about, and they can all be washed in hot soapy water if they get grubby. 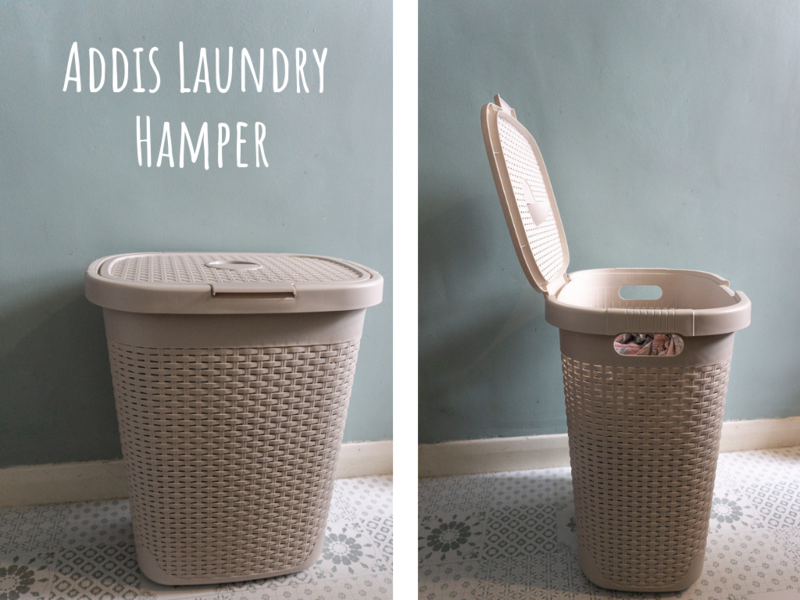 We’re fairly lucky in that our bedrooms come off the kitchen, so I can fold out of the tumble drier or airing rack and pop things right into drawers in the bedrooms, but if I had a bigger house then the folding laundry basket would be a DREAM for carting clothes up and down the stairs! Use it, pop it flat and stick it down the side of the washing machine till you next use it! I am however loving the laundry hamper for dirty washing. It’s a cream faux rattan style so would fit into most rooms inconspicuously. The best thing though is that it has a lid AND handles! I can carry it to the washing machine from the bathroom and dump the contents out with ease. Plus the lid stays up on its own so you know whatever you fling at it will go in, rather than fall in puddles on the floor! Then when your kids have finally shed all their layers of clothes and flung them in the general direction you can flip the lid down till it’s time to empty it! 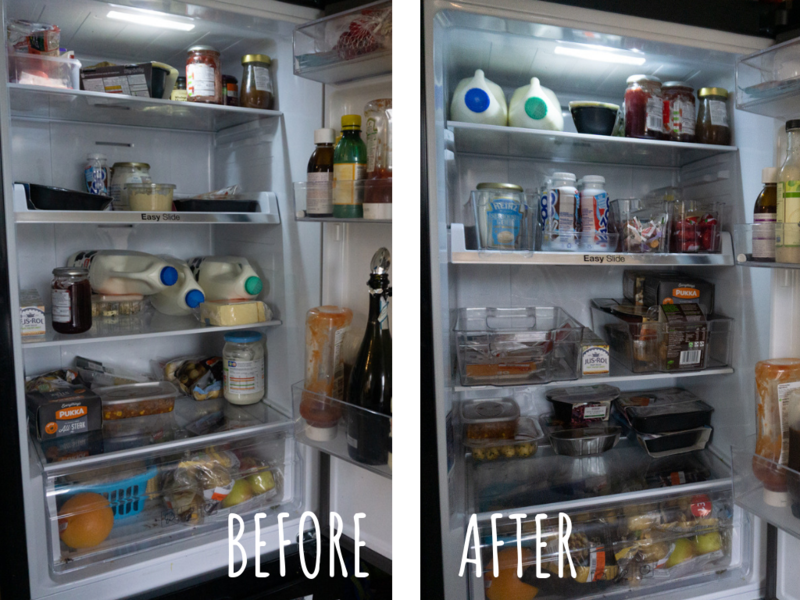 Another household organisation issue has been solved with the Addis plastic shelving. I’ve taken a photo of this in the kitchen so you can see it but it is actually in our dinghy attic and has been a godsend for helping to organise all the things I keep in shoe boxes up there! Christmas decorations, Halloween related things, presents for people to use throughout the year, seasonal kids books… the list goes on! Our attic is a dumping ground and it’s on the list to get it sorted asap before the roof is replaced, so having shelves up there so I can stack things together in groups is a lifesaver. The hatch isn’t that big so putting ready made shelves up there isn’t an option, but taking this up in the sections it came in was easy as when it’s dismantled it’s light weight, but put together and it’s pretty sturdy! It also comes with clips you can add units together and also attach them to the walls. 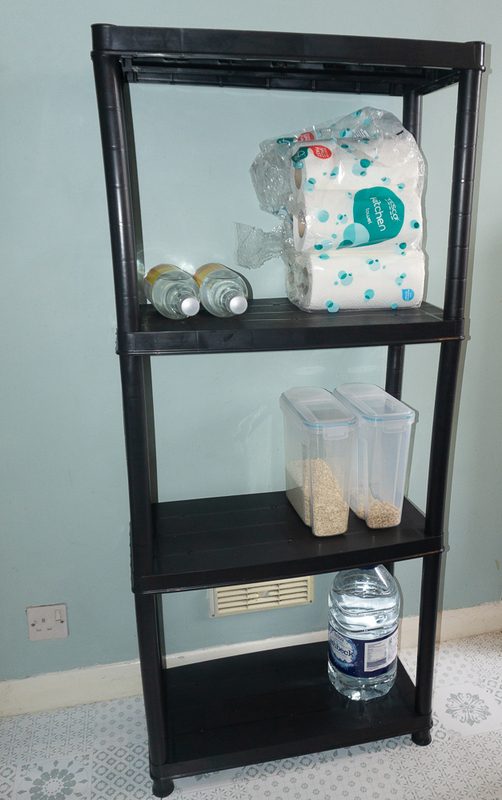 I am also still absolutely loving the under sink shelving from Addis, which I reviewed here. The Amazon links in this post are affiliate links, for which I get a small % of the purchase price but the price does not increase for you to cover this. I was sent these items to enable me to write this review. All words and opinions are my own.